Six years ago today, my first son was stillborn. We named him Calvin Phoenix. I held his tiny body in my arms. And in those too brief moments, I was filled with such a tremendous amount of love and peace. Their will and God’s will are in harmony, so that their lives are characterized by a continuous peace, tranquility, freedom and joy, even — perhaps especially — in crises and suffering (63). Louie and I struggled with the decision to see Calvin after he was born. We tried to rationalize that going through labor and delivery could be enough. God knew our needs better. He met us where we were, broken and afraid and alone in that hospital room, and by His grace, we said yes when my nurse asked us again. That time with Calvin is what saved me; it kept his dying from destroying me. With him in my arms, I felt the joy and tranquility Hughes described. And I am so grateful to have that. The poem I will keep you is about this time. Will you help me honor Calvin today? I first set this page up (on a different website with a different system) several years ago and finally figured out how to bring it over to Dandiewinks. 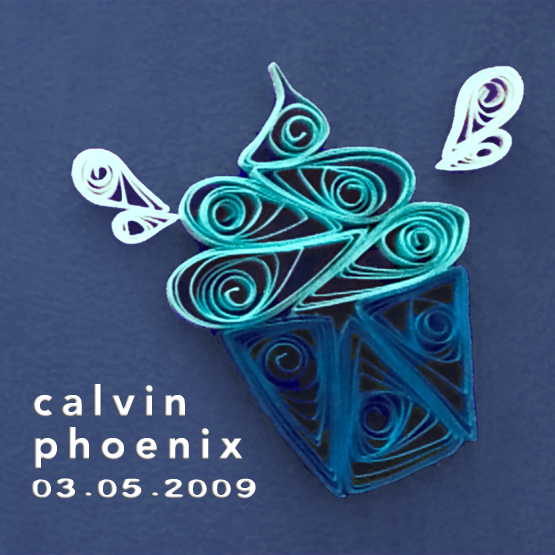 Please feel free to give Calvin some birthday love Kisses for Calvin. How has it been six years already? I know I say that every year, but thinking about all that I’m missing still makes me catch my breath. There are so many questions that I should know the answer to: What is your favorite food? What do you like best about school? What do you want to be for Halloween? What books do you like? What TV shows would we be arguing over for “5 more minutes”? I miss you. I love you. Always. 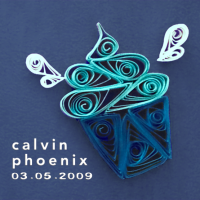 The 5th Belongs to Calvin: Happy 1st Birthday, Sweet Boy! You are my sweet nephew I never got to play with and hold and wrestle. But I love you in absence of your physical presence with the same heart as I do your little brother. You’ve left such a big mark on our hearts in the little time we knew you when you were in your mommas belly. Help us to be brave, and strong, and patient to hold that love so true for you until the day when we can give that love to you face to face. We remember and miss you.